In this job I play a lot of games from a lot of different genres, but like anyone else I have my favorites, and ever since the first time I played Metal Gear Solid for the original PlayStation, I’ve been an adoring fan of the stealth genre. The very concept was a revelation back in the late 90s; sure, there were earlier games in the genre including Kojima’s own Metal Gear titles for the MSX and NES, but its revival in the 90s with the likes of MGS and Tenchu changed the industry forever and carved out a whole new space in gaming that I’ve been doing my best to live in ever since. Over the years I think I’ve played all the true greats, from AAA Chaos Theory to indie darling Mark of the Ninja. 2016’s Aragami didn’t belong in that upper echelon when it first released, but with the newly updated and expanded Aragami: Shadow Edition, there’s at least an argument to be made that it does now. Developed by Lince Works and scored by Two Feathers, Aragami tells the story of a vengeful spirit (the titular Aragami) who has been summoned to help a young princess named Yamiko. The result of ancient magic, Aragami is pure shadow; incredibly weak against even normal light, but in the darkness he is more powerful than any army, and you get to prove that over and over through almost 20 levels, between the remastered single player campaign and the Nightfall expansion. The game begins as Aragami is summoned, and our first glimpse of the world is also his. Yamiko, his benefactor and master, has summoned him to right the wrongs perpetuated against her family by the evil Kaiho, servants of light. Her entire family slain, Yamiko is held far away in a remote location, communicating with Aragami through a spiritual link akin to astral projection. She requires rescuing yet has an immediately suspicious amount of power. Your relationship with Yamiko is central to the story, as learning more about her is to learn more about who, and what, you are. You don’t exist without her will, and she cannot live without your aid; it makes for an interesting dynamic. In terms of gameplay, though, your true partner is Kurosu, a raven you free early in the game who then aids you by highlighting your objective and, eventually, locating scrolls and shrines. Scrolls are used to unlock powerful new abilities which let you create, manipulate and even command the shadows. Shrines allow you to replenish the ability to use these powers. Throughout the course of the game, Aragami will learn to leap instantaneously from shadow to shadow, create shadows where none exist, turn shadows into projectiles and booby traps, and even become completely invisible. These abilities are the core of the gameplay, but also the experience in general as the feeling of growing more powerful throughout the course of a story has rarely felt quite as pronounced and enjoyable as it does in Aragami. There’s a genuine sense of progression here that takes you from a near-feckless shadow to an unstoppable force with more tricks up your sleeve than Batman has gadgets in his utility belt. No matter how powerful you become, however, you are still nothing but a shadow, easily dispelled with one simple attack from any enemy. 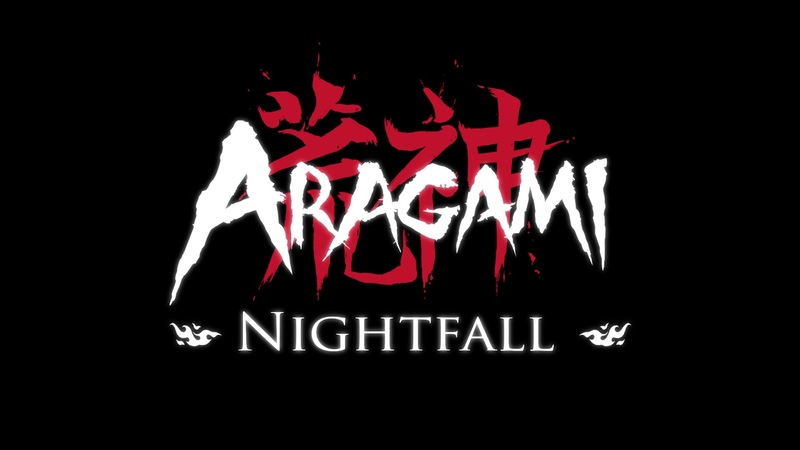 Because of Aragami’s fragile nature, the power at your fingertips is always tempered by the realization that even one misstep can result in instant death. You never have the option to stand and fight; you cannot block, you cannot reliably dodge attacks, and once out of the shadows you are essentially powerless. Your only real options are to strike from the darkness or silently slither past, but either will require deliberate and careful consideration of who and what is ahead of you. I found myself dying frequently in early levels, mostly because I kept expecting Aragami to be swifter, the guards to be dumber and the game to be more forgiving, when it was none of those things. Aragami’s movements seem so stiff and rigid in the beginning. You’re not an acrobat like so many other stealth heroes; your agility comes entirely from your abilities, rather than normal movement, and that takes some getting used to. Soon enough I settled into a more patient pace, picking out targets well and planning multiple moves well in advance. Those looking to kinda sorta stealth things and then fight their way out of trouble will find themselves routinely frustrated by Aragami’s deliberate tempo and unforgiving nature; those looking to stalk a single enemy for several minutes, pouncing only when the time is exactly right, will find a rich and rewarding stealth experience. As fantastic as the single player campaign still is, the new Nightfall expansion is where Shadow Edition truly shines, with a four-chapter campaign designed from the ground up for online co-op play. Instead of once again taking on the role of Aragami, players will pick between two characters in a secret order, playing through a series of missions that provide greater context for the main game. The characters, Hyo and Shinobu, have identical skill sets, slightly different from Aragami’s abilities but just as powerful, particularly when used in tandem. The new levels in Nightfall feel much more expansive and varied than before, with larger maps and significantly more enemies, ensuring that the game remains challenging even with two assassins on the field (n fact, my co-op partner secured his trophy for killing over 100 enemies just on the prologue chapter alone). Communication between you and your teammate is paramount, as the levels are designed so that you will either need to take out multiple guards simultaneously or have one player create distractions while the other slips past. The most enjoyable solution, however, is employing the Twin Shadow technique, which allows you and your partner (AI or real life) to simultaneously execute two guards that would otherwise overpower a single assassin. When and where you use your abilities is often the deciding factor in the success or failure of a level. Used smartly together, Nightfall is a challenging but brisk adventure. Get too far out of sync with your teammate, though, and you’re in for a rough patch. If your teammate dies, they cannot be resurrected until you’ve reached the next checkpoint, which becomes exceedingly difficult without aid. It is possible to play through Nightfall solo, if markedly more difficult, but the game is truly at its best when killing in concert with a buddy. One of the few serious sticking points for me when first playing Aragami in 2016, on PC, was the inconsistent frame rate. Aragami is a beautiful game with a unique and arresting art style, but it was too often hindered by noticeable drops in frame rate, even on hardware more powerful than required. Aragami: Shadow Edition addresses that to a degree, with a frame rate that holds mostly steady, but there are still dips here and there, and they can come at the least opportune moments, screwing up a carefully planned kill or leaving you exposed. Lince Works did leave in some graphical options to help players mitigate these problems, such as the option to disable anti-aliasing, increase or decrease the field of view, and enable V-sync (forcing the game’s frame rate to synchronize with your TV’s refresh rate). I never found a mix of these options that worked 100% of the time, as everything led to either drops in frame rate or screen tearing to some extent, but enabling V-sync, turning off MSAA and lowering field of view slightly resulted in an experience that is mostly smooth. Those playing on a PS4 Pro can expect even fewer issues. Stealth action has become such a huge and diverse genre that it’s hard to say there’s a “right” way to go about it, but at the very least Lince Works is a developer that clearly understands the underlying foundation of what makes a good stealth game, and has the conviction to insist that you commit fully to learning the mechanics they put in place to accomplish that. Aragami is not for everyone, especially casual fans of the genre; it’s too demanding. Those of you who truly relish the hunt and welcome the challenge, though, will surely find that Aragami: Shadow Edition has what you’re looking for.